Bringing you cooking power and convenience in a compact space, the Smeg PGF32C Electric Ceramic Domino Hob is the perfect addition to any kitchen. 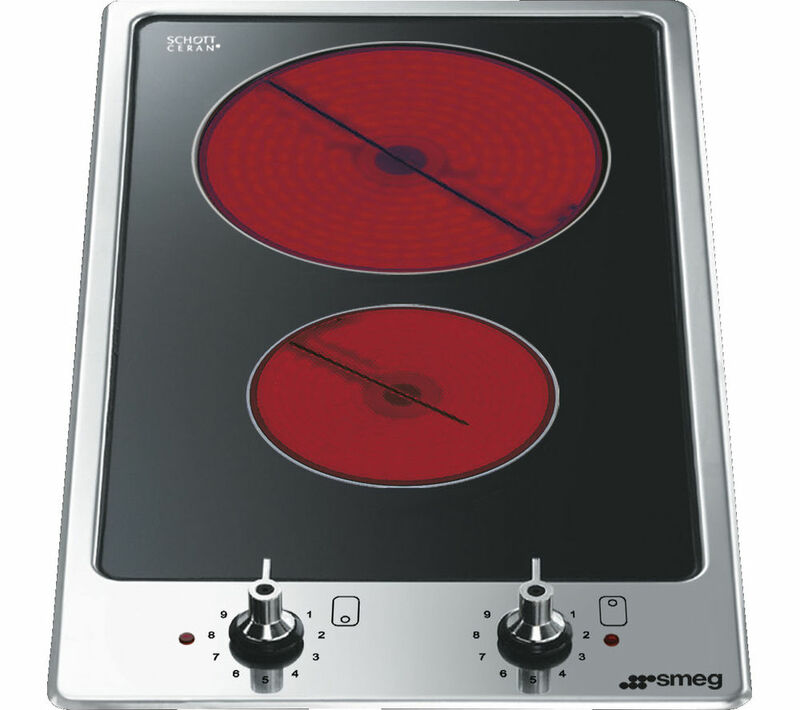 With two zones to choose from, the Smeg PGF32C is extremely versatile and adapts to whatever size pan you are using. Its sleek design is perfect as a standalone hob in a small kitchen, or as an addition to other existing hobs. With nine power levels to choose from, whether you are simmering or boiling, the PGF32C Electric Ceramic Domino Hob will satisfy any cook. You have a total of 3 kW of power, 1.20 kW being delivered from the front and 1.80 kW from the rear zone so you'll never be short of quick and responsive heat. For added safety and peace of mind, the PGF32C has residual heat indicators as a safe way to show you when the hob is still hot.